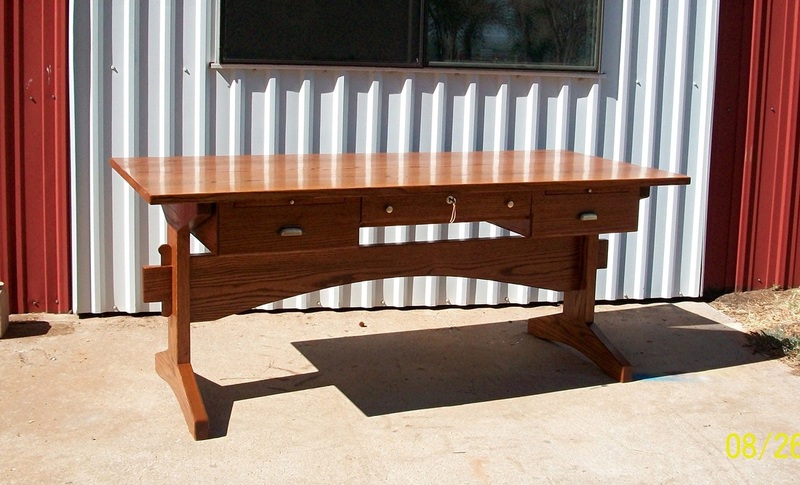 Many different types of desks are made available by Stephen H. Smith. 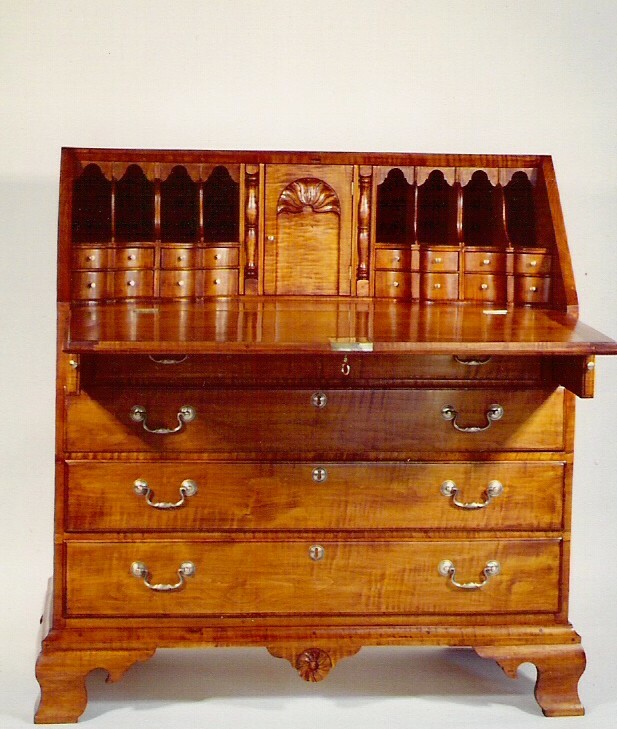 Period style slant lid desks are made with a range of different options including the type of feet, the style of the interior, and the type of wood that the case is made from. 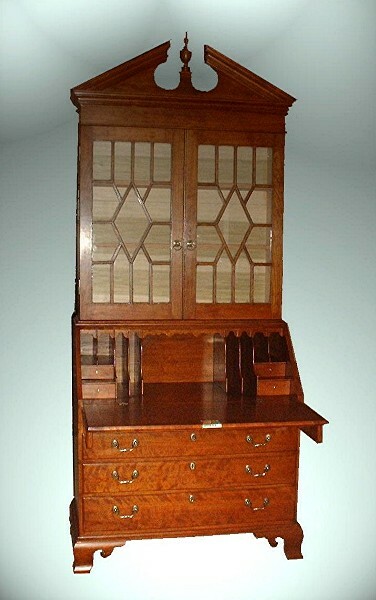 Perhaps the most elaborate desk made by Mr. Smith to date is a tiger maple example with an ampi-theater interior, and having numerous secret compartments. 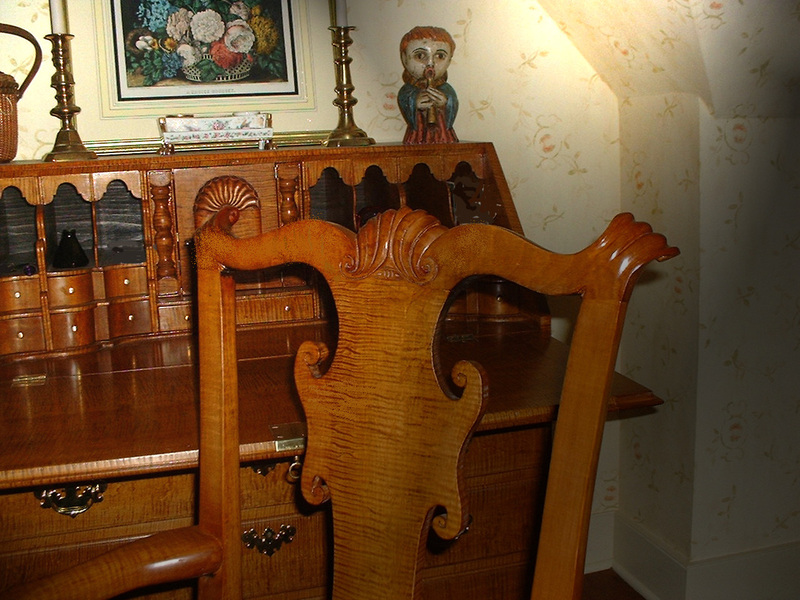 Also available are custom computer work stations designed to help integrate the home office with fine period décor. To add to these choices, Mr. Smith also makes simple writing tables built to suit your needs. Curly maple desk with ampitheater interior. Same desk with lid closed. Shell carving showing detail and first sanding. Cherry secretary with Newport styling influence. 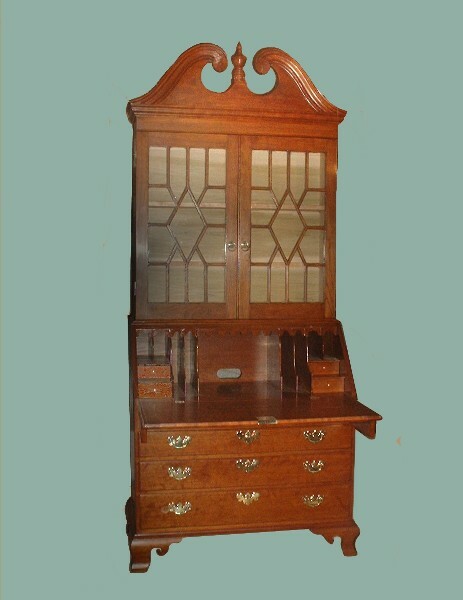 One of two secretaries made for the Visitor Center at Yale University. The central part of the interior was left open to accommodate computer equipment. The other of two secretaries made for Yale University. They are both made of cherry, and photos were taken prior to painting interiors of the upper cases. 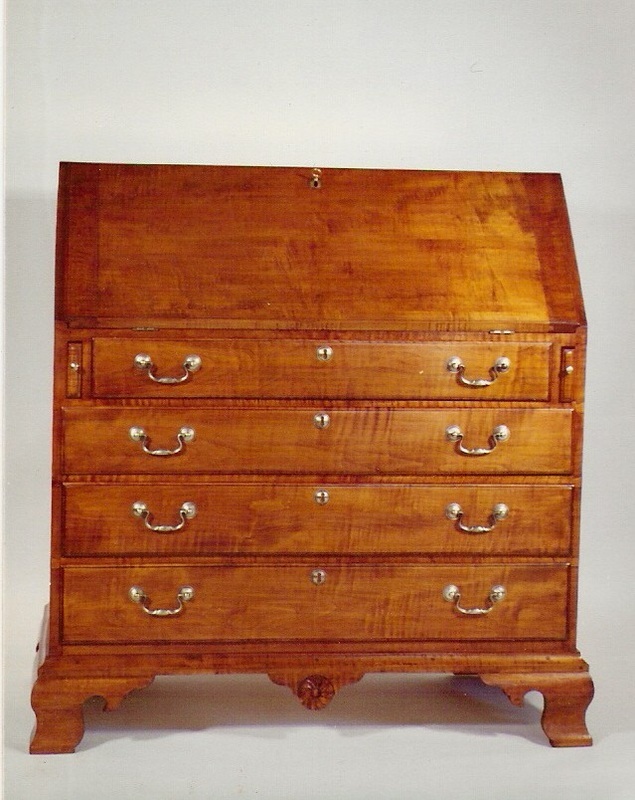 Federal style tiger maple secretary with eagle inlay surmounted by thirteen stylized stars. The upper case is fitted with candle slides and true divided light diamond doors. The central (prospect) door has a small notch to allow for wires to electronic equipment to pass through. The interior primary wood is curly cherry. An oak writing desk made with shaker design influences. The drawers each have a writing slide and the central drawer front folds down, much like a butler's desk, providing a working surface at an ideal height for a computer keyboard. 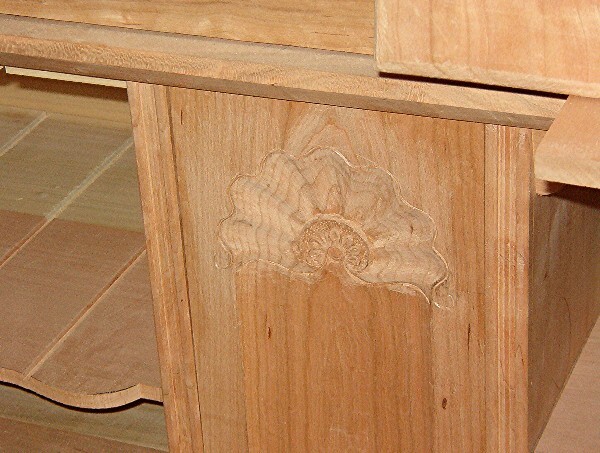 This is the interior of a tiger-maple slant lid desk. It is fitted with 9 drawers with scrolled fronts.